The employees of Service Line Warranties of Canada (SLWC) are focusing on reducing their stress in the workplace and beyond this week. We invite you to join us in learning about stress and exploring different ways to help reduce stress every day. Many people face stress on a daily basis, and it can affect different people in different ways. According to the National Institute of Mental Health, there are at least three different types of stress: routine stress, stress brought on by a sudden negative change, and traumatic stress. All three types of stress carry both mental and physical health risks, and it is important to recognize when you are experiencing these stressors so you are better able to use techniques to reduce their effects. Over time, continued stress may lead to serious health problems such as heart disease, high blood pressure, anxiety and other illnesses. Exercise regularly – just 30 minutes per day of gentle walking. Meditate for five minutes. Sit up straight with both feet on the floor and focus on your breathing. Laugh. When it comes to stress, laughter can be the best medicine. Listen to music. Soothing tunes to help relax or blowing off some steam to some hard rock will both reduce your stress. Slow down and take time to focus on the things around you. For more ways to reduce stress, check out these suggestions from WebMD and the Mayo Clinic. We hope you can find ways to reduce the stress in your daily life. SLWC’s service line warranty program can help reduce stress involved with service line failure. Visit www.slwofc.ca to find out how you can get peace of mind and a stress-free repair process in the event that you have a problem. According to a Bank of Montreal survey, more than a quarter of Canadians would have their savings drop to zero in a month or less in the event of a financial shock, such as a job loss or major expense. To help get your saving jump started, we will provide you with some tips to save money just by changing the way you do some things you already do! Use low-flow shower heads. They can reduce water flow by as much as 40 percent. Live relatively near your workplace. While this isn’t always possible, driving 5,000 miles less a year can lower transportation costs by more than $1,000. Repair dripping faucets. A slow, steady drip (100 drops per minute) wastes 330 gallons of water in a month. That’s nearly 4,000 gallons per year. 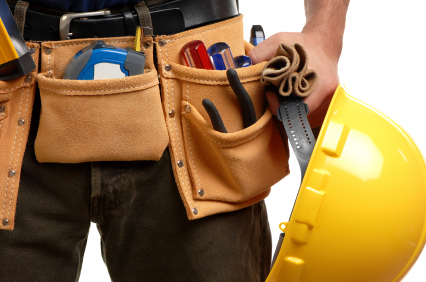 Choose home repair contractors wisely. Favor contractors who have successfully performed work for people you know. Insist on a written, fixed-price bid. Don’t make full payment until satisfactory completion of the work. Substitute coffee for expensive coffee drinks. The two dollars a day you could well save by buying a coffee rather than a cappuccino or latte would allow you, over the course of a year, to completely fund a $500 emergency fund. Keep your car engine tuned and its tires inflated to their proper pressure. Doing both can save you up to $100 a year in gas. Save your loose change. Putting aside fifty cents a day over the course of a year will allow you to save nearly 40 percent of a $500 emergency fund. Borrow books rather than purchasing them. Borrowing books and reading magazines at your local library, rather than purchasing reading material, can save you hundreds of dollars a year. These are just a few way to save every day. Being prepared for an emergency expense will help to reduce stress and provide you with the peace of mind to know you are ready if something goes wrong. In addition to these 10 tips, check out more money saving tips here. To find out how SLWC can help provide you with budget-protecting peace of mind, visit www.slwofc.ca. Service Line Warranties of Canada is dedicated to water conservation and throughout the week will be sharing tips on how to improve your water efficiency. Check out the infographic below from the Canadian Broadcasting Corporation to start your week, and stay tuned to our blog and Twitter for more tips, tricks, and solutions to help you improve your water usage. Please visit www.slwofc.ca for more information! Making sure that pipes inside of your home are properly insulated is key to preventing a leak. During cold weather months, visible frost on the outside of your interior pipes may provide a warning that your pipes are frozen, even before turning on a faucet. Pipes that are most susceptible to freezing are located on outside walls, under sinks that are on outside walls, and in unheated crawl spaces. If your pipes become frozen, you may try to turn up the heat in your home and wait or to thaw the pipes yourself; however, we recommend that you contact a local licensed plumber to do this for you to prevent a rupture. Using a local plumber also prevents accidents like the ones seen in Hamilton, Ontario, recently. When more than one drain in your home has started to work improperly, this is likely a sign there is a problem with the external line that connects to the street. There are many possible causes for a backup or blockage. Tree roots may have found their way into the line or a foreign object has blocked the line or, the worst-case scenario, your sewer line has broken completely and is no longer flowing as it should. No matter which of these issues is occurring, you should contact a plumber immediately. If it is something as simple as a root intrusion or a foreign object, the plumber may be able to remove them or complete a small spot repair before the problem gets worse. This could potentially save you the thousands of dollars it will cost to have the line replaced completely. Most people use about the same amount of water every month. If you notice a sizable increase in your bill and you haven’t modified your usage – filling a pool or increasing your outdoor watering – this could signal you have a problem. One of the first things to do is examine all of your fixtures. Dripping faucets and leaking toilets can waste a lot of water over the period of a month. Though you can visibly see a faucet dripping, the leaking toilet may be a little harder to detect. Dye testing your toilet is an effective way of checking for leaks. Once you locate the source of your problem, you can address it directly and avoid any further increased water bills. If all of your fixtures seem to be in good working order after the visual and dye testing, and there are no other visible signs of water leakage in your house, such as mold spots, water dripping down walls or between floors, or warped drywall/ceilings, then it is time to contact your water company. You may be experiencing a leak on your external water line. The water company will typically send someone out to test your line and verify if there is a leak. Are you interested in learning how we can help you avoid costly expenses if these problems arise? Please visit www.slwofc.ca to find out more! Don’t Burn the House Down! It’s been a rough winter in Canada with frigid temperatures causing many water lines to freeze. When water lines freeze, many homeowners think they can just fix the problem themselves, but as two Hamilton homeowners found out – it’s not that easy and you could potentially cause a lot of damage. Just a few weeks ago, two homeowners set their houses on fire while trying to thaw frozen water pipes after the temperature dipped to minus 23 degrees Celsius. Thankfully no one was injured, but the blazes caused more than $160,000 in damages and left homeowners out in the cold seeking temporary shelter. If you suspect you have frozen water pipes and have the Water Line Warranty or In-Home Plumbing and Drainage Protection with Service Line Warranties of Canada, contact our claims center immediately to file a claim. If you do not have protection with Service Line Warranties of Canada and your situation doesn’t improve by allowing heat to access the pipes, contact a certified local plumber to perform a repair. Never, under any circumstances, use an open flame to attempt to thaw frozen pipes. According to Dan Milovanovic, platoon chief for the City of Hamilton Fire Department in the Hamilton Spectator, using any sort of open flame to thaw frozen pipes is “incredibly risky” — but also not uncommon. “We see it from time to time … The message here is it’s not worth it,” he said. Additionally, the use of space heaters isn’t advised to do the job. If you don’t want to hire a contractor, the Fire Department recommends attempting to use a hair dryer, small heater, hot water bottles or towels to slowly thaw the pipe, but this is also very risky. When the frozen water expands, you run the risk of cracking or breaking the pipe. The best course of action is to prevent pipes from freezing by insulating walls or running a trickle of water through pipes during extremely cold weather. If you currently do not have the Water Line Warranty or In-Home Plumbing and Drainage Protection, visit www.slwofc.ca to learn more. But it’s flushable – right? Just because it says “flushable” doesn’t mean it should be flushed down the drain. A growing problem for many municipalities is flushable products claiming they will break down, but instead are clogging sewer systems, causing millions of dollars of damage to infrastructure. In 2014, Barry Orr, an official from the Municipal Enforcement Sewer Use Group (MESUG), which represents Canada’s wastewater systems, performed a lab test comparing flushable wipes to toilet paper and found that even after sitting in water for two months, the wipes did not break down as well as toilet paper. When flushed items don’t break down, someone has to clean them out of the traps. Additionally, when working to remove these clogs, the wipes can actually cause further damage to the pipes and equipment. A 2016 report on Canada’s infrastructure identified water infrastructure at risk of rapid deterioration. Overall, one-third of Canada’s municipal infrastructure is at risk of failing. “What this survey shows is that we need to repair our existing infrastructure. Our infrastructure is aging and we need to accelerate the rate of renewal. As any homeowner knows, repair costs skyrocket once you let things go past a certain point. We don’t want to get to that point,” said Canadian Public Works Association President Kealy Dedman in the report. Investments are needed to keep up with the repairs and maintenance in the short term to prevent a rapid deterioration. The report also noted that many municipalities are failing to meet reinvestment target rates, which will increase the overall infrastructure repair needs substantially. “This isn’t complicated. Homeowners know you need to stay on top of repairs if you want to avoid larger bills down the road. If you see a small crack in your foundation, you fix it now. You don’t wait until water is pouring into your basement,” said Michael Atkinson, President of the Canadian Construction Association. 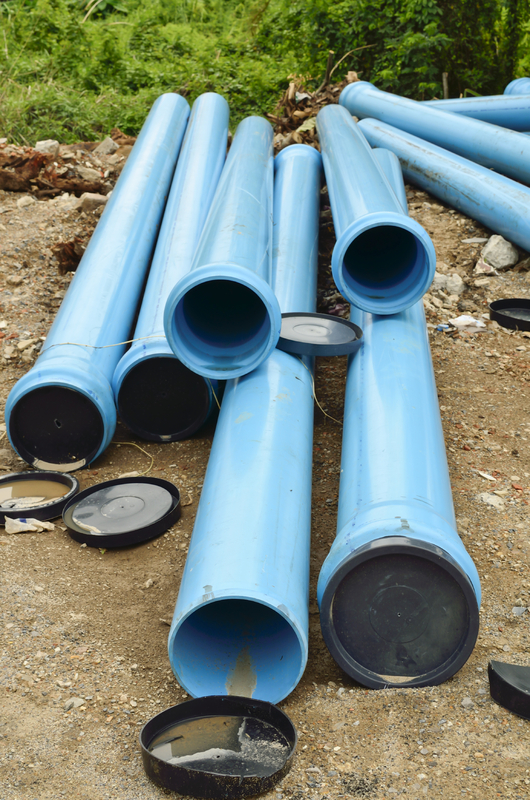 While this report focuses on municipal infrastructure, as a homeowner, your pipes are subject to the same problems from age, normal wear and tear, ground shifting and climate change. Do you have a plan to invest in your own infrastructure? Are you prepared for a failure? This report is an important reality for not just municipal officials, but also for homeowners. Nothing lasts forever, even if that’s a common misconception about our infrastructure. At some point, water and sewer lines are going to leak, crack or break and there will be a hefty repair bill. “The report shows that we have an opportunity to improve quality of life for Canadians, strengthen the economy and save money over the long term. That should be all the motivation we need to act now,” said Nick Larson, Chair of the Canadian Society of Civil Engineers Infrastructure Renewal Committee. Service Line Warranties of Canada can help address this infrastructure issue within your community through educational outreach and a plan for not if, but when a water or sewer line breaks. To learn more, visit www.slwofc.ca.